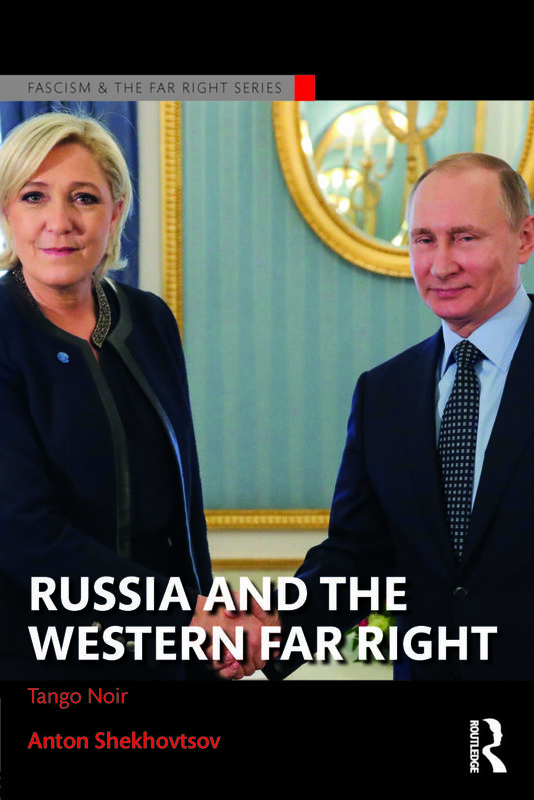 – Russia and the Western Far Right: Tango Noir. By Anton Shekhovtsov. Abingdon, UK: Routledge, 2017. As the four studies under review here illustrate,11 the institutional under-development of Russian right-wing extremism studies is unfortunate. Certain Manichean ideas, informal extremist networks, and industrious agents of the radical right—among them those calling themselves “Eurasianists” including, for instance, Vladimir Putin’s (b. 1952) official advisor Sergei Glaz’ev (b. 1961)12—have infiltrated Russian mainstream politics, ministerial bureaucracy, foreign affairs, higher education, Orthodox churches, think-tanks, mass media, (un)civil society, and cultural diplomacy.13 In view of Russia’s role in world politics, nuclear arsenal, military adventurism, challenging geography, and declining economy, the political and social impact of the post-Soviet far right should thus be of concern to the West (and other world regions). Yet, the sub-field has so far—to a significant degree—been driven by publications emerging from short-term grants, hobby research, and side jobs of academics and journalists also concerned with other duties than investigating the Russian far right. The condition of the sub-discipline Post-Soviet Russian Right-Wing Extremism Studies (postsowjetische russlandbezogene Rechtsextremismusforschung) is better than it was twenty years ago, when its state of play was reviewed, for the first time in English.14 Yet it is still not adequate to the increasingly broad variety, growing political impact, and rising international interconnectedness of its objects. To be sure, the nature of the “Putin System” can still not be informatively classified as “fascist,” as some observers—with typically over-stretched concepts of generic fascism—have suggested.15 While being nationalistic, anti-liberal and leader-oriented, the current Russian regime lacks a sufficiently palingenetic drive towards a political, cultural and anthropological revolution to be meaningfully equated to Mussolini’s or Hitler’s reigns.16 So far, Putin’s rule remains similar to that of other so-called “oligarchic” (and not ideocratic) orders of most post-Soviet countries. In political science terms, this means that, while Russia’s current regime has become less hybrid and more authoritarian, its functioning remains determined by patron-client relationships, machine politics, nepotistic dynasties, clan-like networks, and informal exchanges rather than ideological prescriptions. The main purpose of its patronalistic or neopatrimonial mechanisms is rent-extraction, preservation of power as well as privileges, and sometimes plain theft instead of pursuing transcendental goals.17 However, to the degree that Putin’s government is, because of various economic factors, losing its earlier performance-based legitimacy, it is increasingly turning to charismatic and ideological forms of self-legitimation. At this point, Russia’s rich tradition of illiberal nationalist thought enters the stage.18 Although it plays, so far, an instrumental rather instrumental role for the “Putin System,” elements of right radical rhetoric—i.e., conspiracy theories, leader-cult, anti-Americanism, messianism, nativism, irredentism, clericalism, homophobia, fortress-mentality, law-and-order slogans, etc.—have become part and parcel of Russian official statements, foreign policies and public discourse.19 Arguably, they are starting to assume a life of their own. While Duginite neo-Eurasianism is also outspokenly ideocratic and particularistic, it has far less academic clout than classical Eurasianism, is heavily conspirological, and often simply plagiarizes ideas from international anti-Western thought.24 Rather than developing classical Eurasianism, neo-Eurasianism is a hybrid, drawing primarily on nineteenth- and early twentieth-century mystical geopolitics, the German Conservative Revolution, European National-Bolshevism, British Satanism, the French New Right, Italian neo-Fascism, Integral Traditionalism, and some other non-Russian radical intellectual, as well as political, movements.25 To readers of Western anti-liberal thought, Dugin’s basic idea may thus sound familiar: World history’s basic conflict is that between collectivistic and traditionalist Eurasian landpowers (tellurocracies), on the one hand, and individualistic and liberal Atlantic sea-powers (thallasocracies), on the other. The hidden war of their contemporary leaders— Russia vs. America—is currently entering its Endkampf (final battle) and will involve a Russian domestic, as well as the world’s geopolitical, revolution. In Dugin’s fluctuating outlook (recently re-labelled, by him, as “the fourth political theory”26), the extension of “Eurasia” is less clear than in classical Eurasianism, and may also embrace other territories than the former Tsarist/Soviet empire, including continental Central and Western Europe, various Asian countries, or even entirely different parts of the world, if they decide to adhere to tellurocratic and traditional values. Both the largely Western sources of neo-Eurasianism and its geographic flexibility became major reasons that Dugin and his various organizations were well-positioned to participate not only in interconnecting the EU’s and Russia’s radically nationalist scenes, but also in linking some representatives of Putin’s regime to the Western far right. 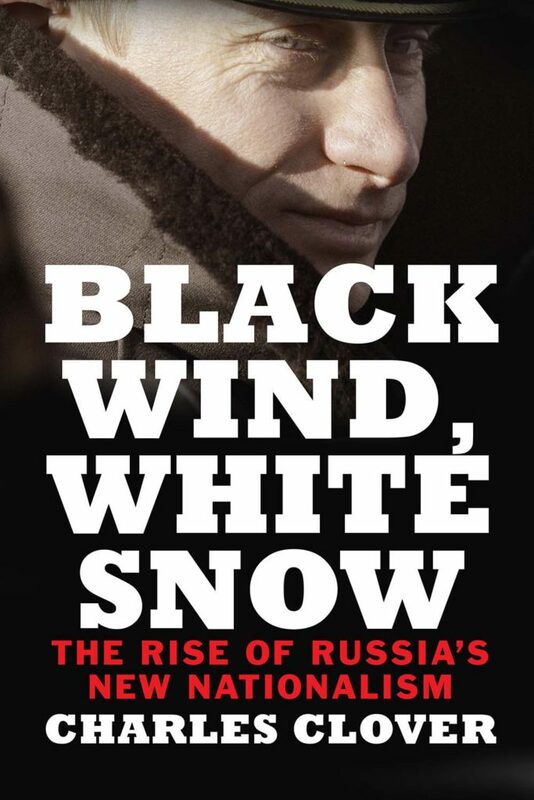 Charles Clover, formerly Financial Times correspondent at Moscow, has produced with his Black Wind, White Snow a very readable descriptive survey of classical and neo-Eurasianism. His study combines results of several years of archival research, participant observation and in-depth interviews in Russia with an enviable literary talent. Clover’s gripping story of the zigzags in the development of Russian Eurasianism reads often like a novel. Based on a broad variety of primary sources (manuscripts, letter, conversations), he tells numerous revealing episodes and empirical details not yet outlined in the scholarly literature. Clover brilliantly sketches the transmutation of Eurasianism from an obscure intellectual movement among Russian émigrés in interwar Europe into a major paradigm of post-Soviet international relations, intellectual discourse, and political interpretation, as expressed in the name of the recently established “Eurasian Economic Union.”28 This book is, perhaps, unique to the discipline in that it manages to be a well-written general overview of, and excellent introduction to, Eurasianism, yet also constitutes—because of the various fascinating short stories it contains—profitable reading for the specialist. Such an outstanding text could have been brought, though, to its readership in a less confusing setup. Its publication with a top university press suggests that it is an academic study—which it is not. It may have been more effective and reached a wider readership as a paperback with a major commercial publisher. Also, the book’s subtitle does not reveal the text’s focus on classical and neo-Eurasianism. Instead, it suggests that it deals with some “new” Russian nationalism while it is, in fact, about a familiar variety of the old imperial Russian tradition. “New nationalism” has been a phrase recently used, within the scholarly community, to designate non- or, at least, less-expansionist Russian far-right trends that are more ethnocentric, introverted, and exclusive, as well as partly racist—and thus often, at least implicitly, anti-Eurasian.29 Still, Clover’s investigation stands out, because of its comprehensiveness and insights, as a major publishing event in contemporary Russian area studies. The same can be said, for different reasons, about Mark Bassin’s in-depth exploration of The Gumilev Mystique. Whereas Clover sheds novel light on some already-researched episodes in contemporary Russian nationalism, Bassin opens an entirely new chapter in the study of the Russian far right, with his magisterial monograph on one of the insufficiently appreciated, yet important trends in the post-Soviet history of social thought and public discourse. His book is not the first academic text on its topic,30 but it provides the first comprehensive account of the intellectual biography, social impact, international reception, and political significance of the controversial historian and self-ascribed “Eurasianist” Lev Gumilev (1912-1992), son to the famous Russian poets Nikolai Gumilev (1886-1921) and Anna Akhmatova (1889-1966). 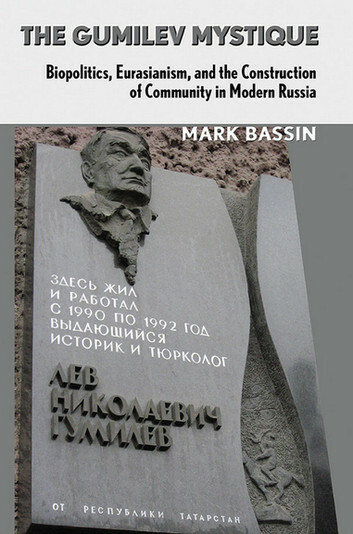 Filling a glaring gap in post-Stalinist Russian area studies, Bassin has written the definitive investigation into one of the most prolific and consequential Soviet writers on pre-modern Russian, as well as Central Asian, history— and Russia’s major theorist of ethnogenesis. The classical Eurasianists referred, in the rationalization of their political theory, to social, cultural, and geographical research. In contrast, Gumilev boldly mixes arguments from the humanities in his writings with questionable insights from the natural sciences, above all biology. Gumilev’s often fancy ideas and novitistic (or pseudo-innovative) concepts about the natural character of ethnoses (or ethnic groups) had and have considerable influence on the worldview of late and post-Soviet students, intellectuals, and researchers, especially in such disciplines as history, anthropology, geography, and international relations. His voluminous writings have contributed to the emergence of such specifically Russian social-science sub-disciplines as political anthropology, civilizational studies, ethno-politology, geopolitics, and culturology.31 After the break-up of the USSR, Gumilev’s influence has been rising constantly in spite of his fantastic assertions about the course and laws of human history. Gumilev presents world history as a cyclical process of the birth, rise, fall and disappearance of ethnoses. Being naturally-secluded groups, ethnoses enter alliances with similar other ethnic groups and form larger unions called “super-ethnoses.” At the same time, according to Gumilev, ethnoses are in constant danger of becoming “chimeras,” if they are infiltrated, subverted, and eventually destroyed by alien, parasitic groups—not the least by Jews. Most infamously, Gumilev has speculated, in pseudo-scientific fashion, about the role of cosmic energy or solar emissions (as well as resulting micro-mutations in human beings!) in the outbreak of—what he calls—“passionarity,” within ethnic groups under such impact from outer space. Passionarnost‘ is, perhaps, Gumilev’s most popular ear worm frequently used in post-Soviet intellectual discourse nowadays. It means something like certain human beings’ heightened ability to absorb energy and their resulting drive towards transformative action undertaken by the passionarii (“passionarians”), on behalf of their native communities. Bassin not only deals extensively and brilliantly with Gumilev’s quixotic theories, but outlines also the various confrontations, adaptations, interpretations, and utilizations they have encountered in the late Soviet and post-Soviet periods, in—and sometimes also outside—Russia. He deals especially revealingly with Gumilev’s various quarrels with Soviet social scientists and Russian ultranationalists. While both were initially rather skeptical, these two groups eventually adopted large parts of the Gumilevian conceptual framework, with this or that caveat. The increasing relevance of the latter is illustrated by Vadim Rossman’s informative paper “Moscow State University’s Department of Sociology and the Climate of Opinion in Post-Soviet Russia” in Laruelle’s original collective volume Eurasianism and the European Far Right. Rossman deals here above all with Aleksandr Dugin’s activities at Russia’s most prestigious higher-education institution—the capital’s Lomonosov University. Like almost all contributions to Laruelle’s new collection of papers, Rossman’s detailed chapter deals with a hitherto largely neglected, yet important new topic in post-Soviet studies. Laruelle contextualizes her collected volume’s purpose in an introductory essay called “Dangerous Liaisons: Eurasianism, the European Far Right, and Putin’s Russia.” The book continues with Anton Shekhovtsov’s outline of the beginnings of Dugin’s relationship to the West European New Right in 1989-1994 and ends with Shekhovtsov’s report on Western far-right election observation missions in the service of the Kremlin. Jean-Ives Camus illustrates Dugin’s close relationship to France. Giovanni Savino revealingly surveys Dugin’s various connections in Italy. Nicolas Lebourg outlines the “difficult establishment of neo-Eurasianism in Spain.” Vügar Imanbeyli sketches the fascinating rise and temporary fall of Dugin’s networks in Turkey. Umut Korkut and Emel Akçali provide glimpses into Hungary’s flirtation with Eurasianism. Sofia Tipaldou details the Greek Golden Dawn’s transnational links. Laruelle’s edited volume is best read in combination with Anton Shekhovtsov’s forthcoming study Russia and the Western Far Right.38 This voluminous monograph deals not only with post-Soviet affairs, but also the Soviet period—namely the 1920s and 1950s when the Kremlin already had some secret contacts with West European rightwing extremists. While Laruelle’s volume primarily details connections between Russia’s extremely anti-Western Eurasianists and the Western far right, the principal focus of Shekhovtsov’s volume is the paradoxical collaboration of the Soviet and Putin regimes with various Western ultranationalists, and especially, during the last years, with those in Austria, Italy, and France. While Moscow was, after World War II and today still is, loudly “anti-fascist,” it has—in a variety of situations—not hesitated to contact, support, and utilize extremely right-wing extremists for various foreign and domestic purposes. Recently, this has included employing far-right commentators for propaganda and disinformation purposes in Kremlin-controlled mass media, or engaging Western fringe politicians as guests to manipulated elections in the role of foreign observers who legitimize, for Russia’s domestic audience, engineered polls, including pseudo-referenda, with affirmative public statements. Shekhovtsov underlines the motivational ambivalence of the intensifying collaboration of the Kremlin with the Western far right—a dualism that reflects the Janus-like character of Putin’s cynical and postmodern, yet also sometimes fanatical and archaic, regime. On the one hand, Moscow behaves pragmatically when, in its capacity as a kleptocracy, it tries to establish as many as possible links to influential Western mainstream politicians and businesspeople, without regard to their political views or ideologies. The Kremlin only turns to various radicals in the West to the degree that it cannot build close relationships within the establishment in the respective countries, and when it can instead get access—sometimes via middlemen like Dugin—to alternative political circles. Moscow then also supports these often populist and nationalist forces as its allies and as troublemakers in the EU and Atlantic alliance. On the other hand, however, Moscow’s growing international isolation and intensifying contacts with the far right, within and outside Russia, are also ideologically driven, and feed back into the self-definition of the regime. As an autocracy in need of consolidation, Putin’s regime is being naturally drawn—both domestically and internationally—to groups whose ideologies support illiberal policies and undemocratic practices. The far-right groups, in turn, profit from public alignment to the world’s territorially largest country and a nuclear superpower. The result has been, as Shekhovtsov outlines, constantly deepening relationships between Russian officials and Western far-right activists since the mid-2000s. One reason that Russian society, in spite of its deep-seated anti-fascism, accepts the growing interpenetration between the far right and Russian government is the spread, authority, and discourse of neo-Eurasianism. Some elements of this pan-national, yet also ethno-centrist ideology of radical anti-Westernism—above all, its Russian exceptionalism and geopolitical Manicheanism—have made deep inroads into Russian intellectual life, higher education, and mass media over the last 25 years, i.e., already before Putin came to power in summer 1999.39 The idea that Russia is a civilization that is not only separate, but also opposed to the West has today approached something close to cultural hegemony in Russian society. Dugin—who entered Foreign Policy’s Top 100 Global Thinkers list in 201440—has played his role in that war for the minds of the Russians.41 Yet his impact is, as Shekhovtsov indicated elsewhere,42 sometimes overestimated, while that of Gumilev is, as Clover’s and Bassin’s studies illustrate, not sufficiently appreciated in the West. To be sure, Gumilev died shortly after the break-up of the Soviet Union whereas Dugin then only began his political career by way of making far-right acquaintances in the West, and impressing his Russian fellow ultranationalists with ideas and concepts borrowed from abroad. Although Dugin is today a member of Russia’s establishment, he remains nevertheless an odd figure because of—among other eccentric announcements— the explicitly pro-Nazi positions he voiced in the 1990s when still being part of—and mainly addressing—Russia’s lunatic fringe.43 In contrast, Gumilev’s post-mortem acclaim and the enormous print-runs of his books developed against the background of his broad acceptance as one of Russia’s major historic thinkers of the twentieth century. Moreover, as Bassin notes, “contemporary theoreticians of the European New Right such as [two of Dugin’s major interlocutors in the West] Alain de Benoist [b. 1943] and Robert Steukers [b. 1956] are well aware of Gumilev’s ethnos theory and clearly appreciate its resonance with their own views” (p. 313). Clover’s and Bassin’s deep explorations of Eurasianism, Gumilev, and neo-Eurasianism highlight some of the historical-ideational background of the Putin regime’s turn to the right after Ukraine’s Orange Revolution of 20 04.44 Laruelle’s and Shekhovtsov’s volumes detail various expressions, mechanisms and implications of this momentous shift. These four books illustrate that—at least in the context of research into Russian intellectual life, party politics, public discourse and foreign policy—investigations into contemporary far-right ideas and actors are no longer a niche activity within political science. Rather, Russian right-wing extremism has become a topic central to the study of post-Soviet domestic politics, international relations, and security affairs. 1. Rossiiskaia gazeta, June 18, 2014, https://rg.ru/2004/06/18/astana-anons.html; accessed December 7, 2016. 3. E.g., Mudde 2005; Minkenberg 2010, 2015. 7. Some of the main tenured scholars, who have published on the Russian far right, were or are John B. Dunlop (Hoover Institution), Alexander Yanov (City University of New York), Valerii Solovei (MGIMO), Pal Kolstø (University of Oslo), Peter J.S. Duncan (University College London), Stephen Hanson (College of William & Mary), Veljko Vujačić (European University of St. Petersburg), and Mark Bassin (Södertörn University at Stockholm). 8. See, among other publications: Lariuel’ 2004, 2007a, 2007b, 2009a, 2009b, 2009c, 2009d, 2015; Laruelle 2004, 2006, 2007, 2008a, 2008b, 2009a, 2009b, 2009c, 2010, 2012, 2015, 2016a, 2016b; Kozhevnikova, Shekhovtsov and Verkhovskii 2009; Mikhailovskaia, Pribylovskii and Verkhovskii 1998, 1999; Papp, Pribylovskii and Verkhovskii 1996; Pribylovskii and Verkhovskii 1995, 1997; Verkhovskii 2003, 2005, 2006, 2007, 2014; Verkhovsky 2000, 2002; Pribylovskii 1995a, 1995b, 1995c; Likhachev and Pribylovskii 2005. 9. Arnold 2010; Umland 2012. 10. For a while, the Chair for Central and East European Contemporary History of the Catholic University of Eichstaett-Ingolstadt in Bavaria focused, under Professor Leonid Luks, on the study of and publishing about Russian radical right-wing tendencies. During the last years, it produced, among other publications of such kind, eleven special issues of the Russian-language journal Forum for Contemporary East European History and Culture, on pre-revolutionary, Soviet and post-Soviet anti-Westernism (Antizapadnye… 2009-2015). Yet, this Eichstaett Chair was closed in summer 2014. 11. Important recent monographs or collected volumes not included in this review are, in alphabetical order: Arnold 2016; Bassin, Glebov, and Laruele 2015; Bassin and Suslov 2016; Blakkisrud and Kolsto 2016; Brown and Sheiko 2014; Griffiths 2017; Kriza 2014; Østbø 2015; Suslov 2016; Verkhovskii 2014; and Zakharov 2015. 12. Aslund 2013. Some recently-leaked telephone conversation records demonstrate that Glaz’ev played a central role in organizing secessionist unrest in Eastern and Southern Ukraine, as well as in preparing Russia’s annexation of Crimea, in February-March 2014. See Umland 2016. Glaz’ev is linked to Russia’s extreme right via—among other connections—the Izborsk Club of rabidly anti-Western intellectuals. See Laruelle 2016b. 13. Various illustrations may be found in the listed texts, and in, among others, Arnold and Romanova 2013; Gorenburg, Pain, and Umland 2012a, 2012b; Hagemeister 2004; Mathyl 2000, 2011; Mey 2004; Moroz 2005; Rogachevskii 2004; Stepanov 2011; Torbakov 2015; Umland 2002a, 2002b, 2006, 2008, 2009b. 14. Umland 1997. See also Umland 2002b. 15. E.g., Motyl 2016. For a critique of Motyl’s earlier similar statements, see, among others, Umland 2009d, 2015. 16. On how to define and interpret fascism, see the extensive discussion by various comparativists and further references in Griffin, Loh, and Umland 2006. 17. Dawisha 2014; Hale 2015; Gel’man 2016. 18. See, for instance, Barbashin and Thoburn 2015 and Snyder 2016 on Putin’s rediscovery of the Russian proto-fascist émigré thinker Ivan Il’in (1883-1954). 20. Bassin, Glebov, and Laruelle 2015; Lariul’ 2004; Laruelle 2008a; Liuks 2009a; Schlacks and Vinkovetsky 1996; Shnirel’man 1996; Wiederkehr 2007. 22. Some of them, to be sure, after participating in its formulation, later retracted from Eurasianism— perhaps, most explicitly so Georgii Florovskii in his 1928 essay “The Eurasian Seduction” in Sovremennye zapiski (34: 312-346). I am grateful to Leonid Luks for pointing this out to me. 23. Baissvenger 2009; Liuks 2009b; Luks 1986. Although both intellectual movements were developing at the same time in inter-war continental Europe, there was only little interaction between them. 24. Among the early treatments of Dugin in Western languages were Allensworth 1998; Hielscher 1992, 1993a, 1993b; Laqueur 1993; Mathyl 1997/1998; Tsygankov 1998; Umland 1995; Yanov 1995. 25. Griffin, Loh, and Umland 2006; Höllwerth 2007,2010; Ingram 2001; Lariuel’ 2009c; Laruelle 2006, 2008a, 2015; Luks 2000, 2002, 2004; Sedgwick 2004; Senderov 2009a, 2009b; Shekhovtsov 2009a, 2009b; Shekhovtsov and Umland 2009; Sokolov 2010a, 2010b; Umland 2004, 2009a, 2009e, 2014; Vafin 2010. 27. In order of their publication: Allensworth 1998; Duncan 2000; Shenfield 2001; Likhachev 2002; Rossman 2002; Shnirel’man 2004; Parland 2005; Mitrofanova 2005; Laruelle 2008a, 2008b, 2009a, 2009c, 2012; Höllwerth 2007; Wiederkehr 2007; Verkhovskii 2005, 2006, 2007, 2014; Kozhevnikova, Shekhovtsov, and Verkhovskii 2009. 28. On the distinction between Dugin’s and Putin’s Eurasianisms, see Umland 2014. 29. Laruelle 2010; Blakkisrud and Kolsto 2016. 30. E.g., Ignatow 2002; Kochanek 1998; Lariuel’ 2009b; Naarden 1996; Shnirel’man 2009; Shnirelman and Panarin 2001; Viderker 2012. 32. On the context of Borodai’s activities in Eastern Ukraine, see Mitrokhin 2015; Laruelle 2016a. 33. On the context of Gumilev’s friendship with Luk’ianov, see O’Connor 2006. 34. Lariul’ 2009d; Østbø 2015, 112; Peunova 2009; Tsygankov 2013. 35. On Shafarevich, see Dunlop 1994; Znamenski 1996; Horvath 1998; Berglund 2002. 36. E.g., Tsygankov 1998; Scherrer 2002; Müller 2008; Sokolov 2010b; Miuller and Trotsuk 2011; Sainakov and Iablokov 2011; Umland 2011; Mäkinen 2014. 37. Clover deals in his book with Dugin’s lectures at the Russian General Staff Academy already in the 1990s, i.e., before Dugin entered Russia’s political establishment and “systemic radical right.” On the distinction between the systemic and non-systemic radical right under Putin, see Arnold and Umland 2017. 38. Published within the “Fascism & the Far Right” book series edited by Nigel Copsey and Graham Macklin. See also Khokk 2015 and Polyakova et al. 2016. 39. Danlop 2010; Höllwerth 2010; Laruelle 2004, 2009b; Mathyl 2002, 2003; Mitrofanova 2005, 2009; Pakhlevsa 2011a, 2011b; Parland 2005; Shekhovtsov 2009a, 2014; Stepanov 2009; Umland 2002a, 2009c, 2010. 40. Above-mentioned Aleksandr Borodai—a disciple of Gumilev—also made it, along with Putin, into this list’s Agitators section. See “A World Disrupted: The Leading Global Thinkers of 2014.” Foreign Policy, http://globalthinkers.foreignpolicy.com/; accessed December 7, 2016. 43. Umland 2006, 2009e. See also Khel’vert 2013. Allensworth, Wayne. 1998. The Russian Question: Nationalism, Modernization, and Post-Communist Russia. Lanham, MD: Rowman & Littlefield. “Antizapadnye ideologicheskie techeniia v postsovetskoi Rossii i ikh istokii 1—11.” 2009—2015. Forum noveishei vostochnoevropeiskoi istorii i kul’tury 6(1): 5-218; 6(2): 5-174; 7(1): 5-148; 7(2): 7-186; 8(1): 7-158; 8(2): 7-156; 9(1): 7-142; 9(2): 7-176; 10(2): 233-360; 12(1): 141-342; 12(2): 75-182. Available at http://www1.ku-eichstaett.de/ZIMOS/forumruss.html; accessed December 7, 2016. Arnold, Richard. 2010. “Field Note: Moscow’s SOVA Center.” Problems of Post-Communism 57(6): 55-8. ―. 2016. Russian Nationalism and Ethnic Violence: Symbolic Violence, Lynching, Pogrom and Massacre. Abindgon, UK: Routledge. Arnold, Richard and Ekaterina Romanova. 2013. “The White World’s Future? An Analysis of the Russian Far Right.” Journal for the Study of Radicalism 7(1): 79-108. Arnold, Richard and Andreas Umland. 2017. “The Russian Radical Right.” In The Oxford Handbook of the Radical Right, ed. Jens Rydgren. Oxford: Oxford University Press, forthcoming. Aslund, Anders. 2013. “Sergei Glazev and the Revival of Soviet Economics.” Post-Soviet Affairs 29(5): 375-86. Baissvenger [Beisswenger], Martin. 2009. “‘Konservativnaia revoliutsiia’ v Germanii i dvizhenie evraziitsev: tochki soprikosnoveniia.” Forum noveishei vostochnoevropeiskoi istorii i kul’tury 6(2): 23-40. Barbashin, Anton and Hannah Thoburn. 2015. “Putin’s Philosopher: Ivan Ilyin and the Ideology of Moscow’s Rule.” Foreign Affairs, September 20. Available at https:// www.foreignaffairs.com/articles/russian-federation/ 2015-09-20/putins-philosopher, accessed December 7, 2016. Bassin, Mark, Sergei Glebov, and Marlene Laruelle, eds. 2015. Between Europe and Asia: The Origins, Theories and Legacies of Russian Eurasianism. Pittsburgh, PA: University of Pittsburgh Press. Bassin, Mark and Mikhail Suslov, eds. 2016. Eurasia 2.0: Russian Geopolitics in the Age of New Media. Lanham, MD: Lexington. Berglund, Krista. 2002. The Vexing Case of Igor Shafarevich, a Russian Political Thinker. Basel: Springer. Blakkisrud, Helge and Pal Kolstø, eds. 2016. The New Russian Nationalism: Imperialism, Ethnicity and Authoritarianism 2000—15. Edinburgh: Edinburgh University Press. Brown, Stephen and Konstantin Sheiko. 2014. History as Therapy: Alternative History and Nationalist Imaginings in Russia. Stuttgart: ibidem-Verlag. Cucută, Radu Alexandru. 2015. “Flogging the Geopolitical Horse.” Europolity: Continuity and Change in European Governance 9(1): 227-33. Danlop, Dzhon [John B. Dunlop]. 2010. “‘Neoevraziiskii’ uchebnik Aleksandra Dugina i protivorechivyi otklik Dmitriia Trenina.” Forum noveishei vostochnoevropeiskoi istorii i kul’tury 7(1): 79-113. Dawisha, Karen. 2014. Putin’s Kleptocracy: Who Owns Russia? New York: Simon & Schuster. Duncan, Peter J. S. 2000. Russian Messianism: Third Rome, Revolution, Communism and After. London: Routledge. Dunlop, John B. 1994. “The ‘Sad Case’ of Igor Shafarevich.” East European Jewish Affairs 24(1): 19-30. Eltchaninoff, Michel. 2016. In Putins Kopf: Die Philosophie eines lupenreinen Demokraten. Stuttgart: Klett-Cotta Verlag. Gel’man, Vladimir. 2016. “The Vicious Circle of PostSoviet Neopatrimonialism in Russia.” Post-Soviet Affairs 32(5): 455-73. Gorenburg, Dmitry, Emil Pain, and Andreas Umland, eds. 2012a. The Idea of Russia’s “Special Path” (Part I): Studies in Russian Intellectual History, Political Ideology, and Public Opinion. Special issue of Russian Politics and Law 50(5). Trans. S. Shenfield. Armonk, NY: M.E. Sharpe. ―. eds. 2012b. The Idea of Russia’s “Special Path” (Part II): Studies in Post-Soviet Russian Political Ideas, Strategies and Institutions. Special issue of Russian Politics and Law 50(6). Trans. S. Shenfield. Armonk, NY: M.E. Sharpe. Griffin, Roger, Werner Loh, and Andreas Umland, eds. 2006. Fascism Past and Present, West and East: An International Debate on Concepts and Cases in the Comparative Study of the Extreme Right. Stuttgart: ibidem-Verlag. Griffiths, Edmund. 2017. Aleksandr Prokhanov and Post-Soviet Esotericism. Stuttgart: ibidem-Verlag. Hagemeister, Michael. 2004. “Anti-Semitism, Occultism, and Theories of Conspiracy in Contemporary Russia: The Case of Il’ia Glazunov.” In Philo-Semitism and Anti-Semitism in Modern Russia and Eastern Europe, ed. Vladimir Paperni. Jerusalem: Hebrew University. Hale, Henry E. 2015. Patronal Politics: Eurasian Regime Dynamics in Comparative Perspective. Cambridge, UK: Cambridge University Press. Hielscher, Karla. 1992. “Konturen der ‘geistigen Opposition’ im heutigen Rußland: Alexander Prochanow und die Zeitung der Neuen Rechten Djen.” Die Neue Gesellschaft: Frankfurter Hefte 39(5): 443-49. ―. 1993a. “Der Eurasismus: Die neoimperiale Ideologie der russischen ‘Neuen Rechten.’” Die Neue Gesellschaft: Frankfurter Hefte 40(5): 465-69. ―. 1993b. “Die Eurasien-Ideologie: Geschichtsmythen der russischen ‘Neuen Rechten.’” Glaube in der 2. Welt 7-8: 25-30. Höllwerth, Alexander. 2007. Das sakrale eurasische Imperium des Aleksandr Dugin: Eine Diskursanalyse zum postsowjetischen russischen Rechtsextremismus. Stuttgart: ibidem-Verlag. Humanismus: Die zeitgenössischen russischen Schriftsteller Limonov, Mamleev, der neoeurasische Ideologe Dugin und deutsch-russische Missverständnisse unter dem Vorzeichen einer repressiven Toleranz.” Germanoslavica: Zeitschrift für germano-slawische Studien 21(1-2): 57-92. Horvath, Robert. 1998. “The Specter of Russophobia.” Soviet and Post-Soviet Review 25(2): 199-222. ―. 2012. Putin’s Preventive Counter-Revolution: Post-Soviet Authoritarianism and the Spectre of Velvet Revolution. Abingdon, UK: Routledge. Ignatow, Assen. 2002. “Esoterik als Geschichtsdeutung: Lev Gumilevs ‘historiosophische’ Lehren.” Forum für osteuropäische Ideen- und Zeitgeschichte 6(1): 13-41. Ingram, Alan. 2001. “Alexander Dugin: Geopolitics and Neo-Fascism in Post-Soviet Russia.” Political Geography 20(8): 1029-51. Khel’vert, Aleksandr [Alexander Höllwerth]. 2013. “Antiutopicheskii roman Den’ oprichnika Vladimira Sorokina i ‘Novaia oprichnina’ Aleksandra Dugina.” Forum noveishei vostochnoevropeiskoi istorii i kul’tury 10(2): 294-310. Khokk, Aleksei [Alexej Hock]. 2015. “Vliianie rossiiskikh politikov i ideologov na pravye struktury v Germanii.” Forum noveishei vostochnoevropeiskoi istorii i kul’tury 12(1): 361-65. Kochanek, Hildegard. 1998. “Die Ethnienlehre Lev N. Gumilevs: Zu den Anfängen neu-rechter IdeologieEntwicklung im spätkommunistischen Rußland,” Osteuropa 48: 1184-97. Kozhevnikova, Galina, Anton Shekhovtsov, and Aleksandr Verkhovskii. 2009. Radikal’nyi russkii natsionalizm: Struktury, idei, litsa. Moskva: SOVA. Kriza, Elisa. 2014. Alexander Solzhenitsyn: Cold War Icon, Gulag Author, Russian Nationalist? A Study of the Western Reception of His Literary Writings, Historical Interpretations, and Political Ideas. Stuttgart: ibidemVerlag. Laqueur, Walter. 1993. Black Hundred: The Rise of the Extreme Right in Russia. New York: HarperCollins. Lariuel’, Marlen [Marlene Laruelle]. 2004. Ideologiya russkogo evraziistva ili Mysli o velichii imperii. Moskva: Natalis. ―. ed. 2007a. Sovremennye interpretatsii russkogo natsionalizma. Stuttgart: ibidem-Verlag. ―. ed. 2007b. Russkii natsionalizm v politicheskom prostranstve: Issledovaniia po natsionalizmu v Rossii. Moskva: Franko-rossiiskii tsentr gumanitarnykh i obshchestvennykh nauk. ―. 2009a. “Pereosmyslenie imperii v postsovetskom prostranstve: novaia evraziiskaia ideologiia.” Forum noveishei vostochnoevropeiskoi istorii i kul’tury 6(1): 78-92. ―. 2009b. “Opyt sravnitel’nogo analiza teorii etnosa L’va Gumileva i zapadnykh novykh pravykh doktrin.” Forum noveishei vostochnoevropeiskoi istorii i kul’tury 6(1): 189-200. ―. 2009c. “Aleksandr Dugin, ideologicheskii posrednik: sliianie razlichnykh doktrin pravoradikal’nogo politicheskogo spektra.” Forum noveishei vostochnoevropeiskoi istorii i kul’tury 6(2): 63-87. ―. 2009d. “Aleksandr Panarin i ‘tsivilizatsionnyi natsionalizm’ v Rossii.” Forum noveishei vostochnoevropeiskoi istorii i kul’tury 6(2): 143-58. ―. 2015. “Russkie natsionalisty i krainie pravye i ikh zapadnye sviazi: idoelogicheskie zaimstvovaniia i lichnye vzaimosviazi.” Forum noveishei vostochnoevropeiskoi istorii i kul’tury 12(1): 325-42. Laruelle, Marlene. 2004. “The Two Faces of Contemporary Eurasianism: An Imperial Version of Russian Nationalism.” Nationalities Papers 32(1): 115-36. ―. 2006. “Aleksandr Dugin: A Russian Version of the European Radical Right?” Kennan Institute Occasional Papers 294. ―. ed. 2007. Le Rouge et le noir: Extrême droite et nationalisme en Russie. Paris: CNRS-Éditions. ―. 2008a. Russian Eurasianism: An Ideology of Empire. Baltimore, MD: Johns Hopkins University Press. ―. ed. 2008b. Russkii natsionalizm: Sotsial’nyi i kul’turnyi kontekst. Moskva: Novoe literaturnoe obozrenie. ―. 2009a. In the Name of the Nation: Nationalism and Politics in Contemporary Russia. London: Palgrave Macmillan. ―. 2009b. Inside and Around the Kremlin’s Black Box: The New Nationalist Think Tanks in Russia. Stockholm Paper des Institute for Security and Development Policy. Available at www.isdp.eu/images/stories/isdp- main-pdf/2009_laruelle_inside-and-around-the-krem- linsblackbox.pdf. ―. ed. 2009c. Russian Nationalism and the National Reassertion of Russia. London: Routledge. ―. 2010. “The Ideological Shift on the Russian Radical Right: From Demonizing the West to Fear of Migrants.” Problems of Post-Communism 57(6): 19-31. ―. ed. 2012. Russian Nationalism, Foreign Policy and Identity Debates in Putin’s Russia: New Ideological Patterns after the Orange Revolution. Stuttgart: ibidem-Verlag. ―. 2015. “The Iuzhinskii Circle: Far-Right Metaphysics in the Soviet Underground and Its Legacy Today.” Russian Review 74(4): 563-80. ―. 2016a. “The Three Colors of Novorossiya, or the Russian Nationalist Mythmaking of the Ukrainian Crisis.” Post-Soviet Affairs 32(1): 55-74. ―. 2016b. “The Izborsky Club, or the New Conservative Avant-Garde in Russia.” Russian Review 75(4): 626-44. Likhachev, Viacheslav. 2002. Natsizm v Rossii. Moskva: Panorama. Likhachev, Viacheslav and Vladimir Pribylovskii, eds. 2005. Russkoe Natsional’noe Edinstvo 1990—2000, 2 vols. Stuttgart: ibidem-Verlag. Liuks [Luks], Leonid. 2009a. “Evraziiskaia ideologiia v evropeiskom kontekste.” Forum noveishei vostochnoevropeiskoi istorii i kul’tury 6(1): 39-56. ―. 2009b. “Evraziistvo i konservativnaia revoliutsiia: soblazn antizapadnichestva v Rossii i Germanii.” Forum noveishei vostochnoevropeiskoi istorii i kul’tury 6(2): 5-22. Luks, Leonid. 1986. “Die Ideologie der Eurasier im zeitgeschichtlichen Zusammenhang.” Jahrbücher für Geschichte Osteuropas 34: 374-95. ―. 2000. “Der ‘Dritte Weg’ der ‘neo-eurasischen’ Zeitschrift ‘Elementy’—zurück ins Dritte Reich?” Studies in East European Thought 52(1-2): 49-71. ―. 2002. “Zum ‘geopolitischen’ Programm Aleksandr Dugins und der Zeitschrift Elementy—eine manichäische Versuchung.” Forum für osteuropäische Ideen- und Zeitgeschichte 6(1): 43-58. ―. 2004. “Eurasien aus neototalitärer Sicht—Zur Renaissance einer Ideologie im heutigen Rußland.” Totalitarismus und Demokratie 1(1): 63-76. Mäkinen, Sirke. 2014. “Geopolitics Teaching and Worldviews: Making the Future Generation in Russia.” Geopolitics 19(1): 86-108. Mathyl, Markus. 1997/1998. “‘Die offenkundige Nisse und der rassenmäßige Feind’: Die NationalBolschewistische Partei (NBP) als Beispiel für die Radikalisierung des russischen Nationalismus.” Halbjahresschrift für südosteuropäische Geschichte, Literatur und Politik 9(2): 7-15; 10(1): 23-36. ―. 2000. “Das Entstehen einer nationalistischen Gegenkultur im Nachperestroika-Rußland.” Jahrbuch fürAntisemitismusforschung 9: 68-107. ―. 2002. “Der ‘unaufhaltsame Aufstieg’ des Aleksandr Dugin: Neo-Nationalbolschewismus und Neue Rechte in Russland.” Osteuropa 52(7): 885-900. ―. 2003. “The National-Bolshevik Party and Arctogaia: Two Neo-fascist Groupuscules in the Post-Soviet Political Space.” Patterns of Prejudice 36(3): 62-76. Matyl’ [Mathyl], Markus. 2011. “Vozniknovenie natsionalisticheskoi kontrkul’tury v postperestroechnoi Rossii 1990-1998 gg.” Forum noveishei vostochnoevropeiskoi istorii i kul’tury 8(1): 105-20. Mey, Alexandra. 2004. Russische Schriftsteller und Nationalismus 1986—1995: Vladimir Solouchin, Valentin Rasputin, Aleksandr Prochanov, Eduard Limonov. Bochum & Freiburg: projekt. Mikhailovskaia, Ekaterina, Vladimir Pribylovskii, and Aleksandr Verkhovskii. 1998. Natsionalizm i ksenofobiia v rossiiskom obshchestve. Moskva: Panorama. ―. 1999. Politicheskaia ksenofobiia: Radikal’nye gruppy, predstavleniia liderov, rol’ tserkvi. Moskva: Panorama. Minkenberg, Michael, ed. 2010. Historical Legacies and the Radical Right in Post-Cold War Central and Eastern Europe. Stuttgart: ibidem-Verlag. ―. ed. 2015. Transforming the Transformation? The East European Radical Right in the Political Process. Abingdon, UK: Routledge. ―. 2017. The Radical Right in Eastern Europe: Democracy under Siege? London, UK: Palgrave Macmillan. Mitrofanova, Anastasia V. 2005. The Politicization of Russian Orthodoxy: Actors and Ideas. Stuttgart: ibidem-Verlag. ―. 2009. “Blesk i nishcheta neoevraziiskogo religiozno-politicheskogo proekta.” Forum noveishei vostochnoevropeiskoi istorii i kul’tury 6(1): 148-67. Mitrokhin, Nikolay. 2015. “Infiltration, Instruction, Invasion: Russia’s War in the Donbass.” Journal of Soviet and Post-Soviet Politics and Society 1(1): 219-49. Miuller [Müller], Martin and Irina Trotsuk. 2011. “Proekt sil’noi Rossii v elitnom obrazovanii putinskogo perioda: vzgliad z pozitsii poststrukturalistskoi teorii diskursa.” Forum noveishei vostochnoevropeiskoi istorii i kul’tury 8(1): 105-20. Moroz, Evgenii. 2005. Istoriia “Mertvoi vody”—ot strashnoi skazki k bol’shoi politike: Politicheskoe neoiazychestvo v postsovetskoi Rossii. Stuttgart: ibidem-Verlag. ―. 2010. “Evraziiskie metamorfozy: ot russkoi emigratsii k rossiiskoi elite.” Forum noveishei vostochnoevropeiskoi istorii i kul’tury 7(1): 15-45. Motyl, Alexander J. 2016. “Russia as a Fascist Political System.” Communist and Post-Communist Studies 49(1): 25-36. Mudde, Cas. ed. 2005. Racist Extremism in Central and Eastern Europe. London: Routledge. ―. 2016. “How Scholars Turned Their Attention to the Populist Radical Right.” Democracy Audit UK, December 5. Available at http://www.democraticau- dit.com/2016/12/05/how-scholars-turned-their-at- tention-to-the-populist-radical-right/; accessed December 7, 2016. Müller, Martin. 2008. Making Great Power Identities in Russia: An Ethnographic Discourse Analysis of Education at a Russian Elite University. Münster: LIT- Verlag. Naarden, Bruno. 1996. “‘I Am a Genius, but No More Than That’: Lev Gumilev (1912-1992), Ethnogenesis, the Russian Past and World History.” Jahrbücher für Geschichte Osteuropas 44: 54-82. O’Connor, Kevin. 2006. Intellectuals and Apparatchiks: Russian Nationalism and the Gorbachev Revolution. Lanham, MD: Lexington Books. Østbø, Jardar. 2015. The New Third Rome: Readings of a Russian Nationalist Myth. Stuttgart: ibidem-Verlag. Pakhlevska, Oksana. 2011a. “Neoevrazizm, krizis russkoi identichnosti i Ukraina (Chast’ pervaia).” Forum noveishei vostochnoevropeiskoi istorii i kul’tury 8(1): 49-86. ―. 2011b. “Neoevrazizm, krizis russkoi identichnosti i Ukraina (Chast’ vtoraia).” Forum noveishei vostochnoevropeiskoi istorii i kul’tury 8(2): 127-56. Papp, Anatolii, Vladimir Pribylovskii, and Aleksandr Verkhovskii. 1996. Politicheskii ekstremizm v Rossii. Moskva: Panorama. Paradowski, Ryszard. 1999. “The Eurasian Idea and Leo Gumilev’s Scientific Ideology.” Canadian Slavonic Papers 41(1): 19-32. Parland, Thomas. 2005. The Extreme Nationalist Threat in Russia: The Growing Influence of Western Rightist Ideas. London: RoutledgeCurzon. Peunova, Marina. 2009. “Vostochnaia inkarnatsiia evropeiskikh ‘novykh pravykh’: Aleksandr Panarin i neoevraziiskii diskurs v sovremennoi Rossii.” Forum noveishei vostochnoevropeiskoi istorii i kul’tury 6(2): 159-74. Polyakova, Alina, Marlene Laruelle, Stefan Meister, and Neil Barnett. 2016. The Kremlin’s Trojan Horses. With a foreword by Radek Sikorski. Washington, DC: Atlantic Council. Available at http://www. atlanticcouncil.org/images/publications/The_Kremlins_ Trojan_Horses_web_1213_second_edition.pdf; accessed December 7, 2016. Pribylovskii, Vladimir. 1995a. Russkie natsional- patriotichekie (etnokraticheskie) i pravoradikal’nye organizatsii: Kratkii slovar’-spravochnik. Moskva: Panorama. ―. ed. 1995b. Russkie natsionalisticheskie ipravoradikal’nye organizatsii, 1989—1995: Dokumenty i teksty. vol. 1. Moskva: Panorama. ―. ed. 1995c. Vozhdi: Sbornik biografii rossiiskikh politicheskikh deyatelei natsionalistisicheskoi i impersko- patrioticheskoi orientatsii. Moskva: Panorama. Pribylovskii, Vladimir and Aleksandr Verkhovskii. 1995. Natsional-patrioticheskie organizatsii v Rossii: istoriia, ideologiia, ekstremistskie tendentsii. Moskva: Panorama. ―. eds. 1997. Natsional-patrioticheskie organizatsii: kratkie spravki, dokumenty, i teksty. Moskva: Panorama. Rogachevskii, Andrei. 2004. Biographical and Critical Study of Russian Writer Eduard Limonov. Lewiston, NY: Edwin Mellen. Rossman, Vadim. 2002. Russian Intellectual Antisemitism in the Post-Communist Era. Lincoln, NE: University of Nebraska Press. ―. 2009. “V poiskakh russkoi idei: platonizm i evraziistvo.” Forum noveishei vostochnoevropeiskoi istorii i kul’tury 6(1): 57-77. Sainakov, Nikolai and Ilia Iablokov. 2011. “Teorii zagovora kak chast’ marginal’nogo diskursa (na primere sozdatelei Novoi khronologii N.A. Morozova i A.T. Fomenko).” Forum noveishei vostochnoevropeiskoi istorii i kul’tury 8(1): 148-58. Scherrer, Jutta. 2002. Kulturologie: Rußland aufder Suche nach einer zivilisatorischen Identität. Göttingen: Wallstein. Schlacks, Charles Jr. and Ilya Vinkovetsky, eds. 1996. Exodus to the East: Forebodings and Events. An Affirmation of the Eurasians. Idyllwild, CA: Charles Schlacks, Jr.
Sedgwick, Mark. 2004. Against the Modern World: Traditionalism and the Secret Intellectual History of the Twentieth Century. New York: Oxford University Press. Senderov, Valerii. 2009a. “Neoevraziistvo: real’nost, opasnosti, perspektivy.” Forum noveishei vostochnoevropeiskoi istorii i kul’tury 6(1): 105-24. ―. 2009b. “Konservativnaia revoliutsiia v postsovetskom izvode: kratkii ocherk osnovnykh idei.” Forum noveishei vostochnoevropeiskoi istorii i kul’tury 6(2): 41-62. Shekhovtsov, Anton. 2009a. “Aleksandr Dugin’s Neo- Eurasianism: The New Right à la Russe.” Religion Compass 3(4): 697-716. ―. 2009b. “Palingeneticheskii proekt neoevraziistva: idei vozrozhdeniia v mirovozrenii Aleksandra Dugina.” Forum noveishei vostochnoevropeiskoi istorii i kul’tury 6(2): 105-26. ―. 2014. “Putin’s Brain?” New Eastern Europe 13: 72-9. Shekhovtsov, Anton and Andreas Umland. 2009. “Is Aleksandr Dugin a Traditionalist? ‘Neo-Eurasianism’ and Perennial Philosophy.” Russian Review 68(4): 662-78. Shenfield, Stephen D. 2001. Russian Fascism: Traditions, Tendencies, Movements. Armonk, NY: M.E. Sharpe. Shiraev, Eric and Vladislav M. Zubkov. 2000. Anti- Americanism in Russia: From Stalin to Putin. London: Palgrave Macmillan. Shnirel’man [Shnire’man], Viktor. 1996. “Evraziitsy i evrei.” Vestnik Evreiskogo universiteta v Moskve 11: 4-45. ―. 2004. Intellektual’nye labirinty: Ocherki ideologii v sovremennoi Rossii. Moskva: Academia. ―. 2009. “Lev Gumilev: ot ‘passionarnogo napriazheniia’ do ‘nesovmestimosti kul’tur.’” Forum noveishei vostochnoevropeiskoi istorii i kul’tury 6(1): 201-18. ―. 2012. “Neoevraziistvo protiv khazar: osobennosti antisemitskogo diskursa v sovremennoi Rossii.” Forum noveishei vostochnoevropeiskoi istorii i kul’tury 9(1): 21-43. Shnirelman, Victor and Sergei Panarin. 2001. “Lev Gumilev: His Pretensions as a Founder of Ethnology and his Eurasian Theories.” Inner Asia 3(1): 1-18. Snyder, Timothy. 2016. “How a Russian Fascist Is Meddling in America’s Election.” New York Times, September 20. Sokolov, Mikhail. 2010a. “Natsional-bol’shevistskaia partiia: ideologicheskai evoliutsiia i politicheskii stil.’” Forum noveishei vostochnoevropeiskoi istorii i kul’tury 7(1): 114-36. ―. 2010b. “‘Novye pravye’ intellektualy v Rossii: strategii legitimatsii postsovetskikh integral’nykh traditsionalistov.” Forum noveishei vostochnoevropeiskoi istorii i kul’tury 7(2): 136-68. Stepanov, Boris. 2009. “Intellektualy i evraziistvo v epokhu ego massovoi vosproizvodimosti.” Forum noveishei vostochnoevropeiskoi istorii i kul’tury 6(1): 166-88. ―. 2011. “Kak sdelan Gospodin Geksogen: literaturnaia konstruktsiia ideologicheskogo radikalizma i ee retseptsiia.” Forum noveishei vostochnoevropeiskoi istorii i kul’tury 8(1): 130-47. Suslov, Mikhail. ed. 2016. Digital Orthodoxy in the PostSoviet World: The Russian Orthodox Church and Web 2.0. Stuttgart: ibidem-Verlag. Torbakov, Igor. 2015. “A Parting of Ways? The Kremlin Leadership and Russia’s New-Generation Nationalist Thinkers.” Demokratizatsiya: The Journal of Post-Soviet Democratization 23(4): 427-57. Tsygankov, Andrei P. 1998. “Hard-line Eurasianism and Russia’s Contending Geopolitical Perspectives.” East European Quarterly 32: 315-24. ―. 2013. “Aleksandr Panarin kak zerkalo rossiiskoi revoliutsii.” Ideologiia i politika 1(3): 4-36. Tsymburskii, Vadim L. 1995. “‘Novye pravye’ v Rossii: Natsional’nye predposylki zaimstvovanniia ideologii.” In Kuda idet Rossiya? Al’ternativy obshchestvennogo razvitiya, 2d vol., ed. Tatiana I. Zaslavskaia. Moskva: Aspekt Press. Umland, Andreas. 1995. “Die Sprachrohre des russischen Revanchismus.” Die Neue Gesellschaft: Frankfurter Hefte 42(10): 916-21. ―. 1997. “The Post-Soviet Russian Extreme Right.” Problems of Post-Communism 44(4): 53-61. ―. 2002a. “Toward an Uncivil Society? Contextualizing the Recent Decline of Parties of the Extreme Right Wing in Russia.” Demokratizatsiya: The Journal of Post-Soviet Democratization 10(3): 362-91. ―. 2002b. “Russischer Rechtsextremismus im Lichte der jüngeren theoretischen und empirischen Faschismusforschung.” Osteuropa 52(7): 901-13. ―. 2004. “Kulturhegemoniale Strategien der russischen extremen Rechten: Die Verbindung von faschistischer Ideologie und gramscistischer Taktik im ‘Neoeurasismus’ des Aleksandr Dugin.” Österreichische Zeitschrift für Politikwissenschaft 33(4): 437-54. ―. 2006. “Neue ideologische Fusionen im postsowjetischen russischen Antidemokratismus: Westliche Konzepte, antiwestliche Doktrinen und das postsowjetische politische Spektrum.” In Gefährdungen der Freiheit: Extremistische Ideologien im Vergleich, ed. Eckard Jesse and Uwe Backes. Göttingen: Vandenhoeck & Ruprecht. ―. ed. 2008. Theorizing Post-Soviet Russia’s Extreme Right: Comparative Political, Historical and Sociological Approaches. Special issue of Russian Politics and Law 46(4). Trans. Stephen Shenfield. Armonk, NY: M.E. Sharpe. ―. ed. 2009a. The Nature of Russian “Neo-Eurasianism”: Approaches to Aleksandr Dugin’s Post-Soviet Movement of Radical Anti-Americanism. Special issue of Russian Politics and Law 47(1). Trans. Stephen Shenfield. Armonk, NY: M.E. Sharpe. ―. 2009b. “Das Konzept der ‘unzivilen Gesellschaft’ als Instrument vergleichender und rußlandbezogener Rechtsextremismusforschung.” Forum für osteuropäische Ideen- und Zeitgeschichte 13(1): 129-47. ―. 2009c. “Restauratives versus revolutionäres imperiales Denken im Elitendiskurs des postsowjetischen Russlands: Eine spektralanalytische Interpretation der antiwestlichen Wende in der Putinschen Außenpolitik.” Forum für osteuropäische Ideen- und Zeitgeschichte 13(1): 101-25. ―. 2009d. “Rastsvet russkogo ul’tranatsionalizma i stanovlenie soobshchestva ego issledovatelei.” Forum noveishei vostochnoevropeiskoi istorii i kul’tury 6(1): 5-38. ―. 2009e. “Patologicheskie tendentsii v russkom ‘neoevraziistve’: o znachenii vzleta Aleksandra Dugina dlia interpretatsii obshchestvennoi zhizni v sovremennoi Rossii.” Forum noveishei vostochnoevropeiskoi istorii i kul’tury 6(2): 127-42. ―. 2010. “Aleksandr Dugin’s Transformation from a Lunatic Fringe Figure into a Mainstream Political Publicist, 1980-1998: A Case Study in the Rise of Late and Post-Soviet Russian Fascism.” Journal of Eurasian Studies 1(2): 144-52. ―. 2011. “Fascist Tendencies in Russian Higher Education: The Rise of Aleksandr Dugin and the Faculty of Sociology of Moscow State University.” Demokratizatsiya [web edition]. Spring. Available at https://www.academia.edu/854121/Fascist_Tendencies_in_Russian_Higher_Education_The_Rise_of_Aleksandr_Dugin_and_the_Faculty_of_Sociology_of_ Moscow_State_University; accessed December 7, 2016. ―. 2012. “Was wissen wir über den postsowjetischen russischen Ultranationalismus? Anstelle eines Nachrufes auf Galina Kozevnikova (1974-2011).” Forum für osteuropäische Ideen- und Zeitgeschichte 16(1): 249-55. ―. 2014. “Das eurasische Reich Dugins und Putins: Ähnlichkeiten und Unterschiede.” Kritiknetz: Zeitschrift für Kritische Theorie der Gesellschaft, June 26. Available at http://www.kritiknetz.de/images/stories/texte/Umland_Dugin_Putin.pdf; accessed December 7, 2016. ―. 2015. “Challenges and Promises of Comparative Research into Post-Soviet Fascism: Methodological and Conceptual Issues in the Study of the Contemporary East European Extreme Right.” Communist and PostCommunist Studies 28(2-3): 169-81. ―. 2016. “Glazyev Tapes: What Moscow’s Interference Means for the Minsk Agreements.” Raam op Rusland, November 25, available at http://www.raamoprusland.nl/dossiers/oekraine/359-glazyev-tapes-what-moscow-s-interference-in-ukraine-means-for-the-minsk-agreements; accessed December 7, 2016. Vafin, Artur. 2010. “Ideino-politicheskia platforma Natsional-bol’shevistskoi partii v kontekste evoliutsii natsional-bol’shevistskikh idei.” Forum noveishei vostochnoevropeiskoi istorii i kul’tury 7(1): 137-48. Verkhovskii, Aleksandr. 2003. Politicheskoe pravoslavie: Russkie pravoslavnye natsionalisty i fundamentalisty, 1995—2001 gg. Moskva: Panorama. ―. ed. 2005. Tsena nenavisti: Natsionalizm v Rossii I protivodestvie rasistskim prestupleniiam. Moskva: SOVA. ―. ed. 2006. Russkii natsionalizm: ideologiya i nastroenie. Moskva: SOVA. ―. ed. 2007a. Verkhi i nizy russkogo natsionalizma. Moskva: SOVA. ―. ed. 2014. Rossiia—ne Ukraina: sovremennye aktsenty nationalizma. Moskva: SOVA. Verkhovsky, Alexander. 2000. “Ultra-Nationalists in Russia at the Onset of Putin’s Rule.” Nationalities Papers 28(4): 707-26. ―. 2002. “The Role of the Russian Orthodox Church in Nationalist, Xenophobic and Antiwestern Tendencies in Russia Today: Not Nationalism, but Fundamentalism.” Religion, State and Society 30(4): 333-45. Viderker [Wiederkehr], Shtefan [Stefan]. 2010. “‘Kontinent evraziia’: klassichesko evraziistvo i geopolitika v izlozhenii Aleksandra Dugina.” Forum noveishei vostochnoevropeiskoi istorii i kul’tury 7(1): 5-14. ―. 2012. “Vospriiatie trudov L.N. Gumileva v pozdnei postsovetskie periody: intelligentsia Rossii v poiskakh orientirov.” Forum noveishei vostochnoevropeiskoi istorii i kul’tury 9(1): 7-20. Wiederkehr, Stefan. 2007. Die Eurasische Bewegung: Wissenschaft und Politik in der russischen Emigration der Zwischenkriegszeit und im postsowjetischen Russland. Köln: Böhlau. Yanov, Alexander. 1995. Weimar Russia—And What We Can Do About It. New York: Slovo. Zakharov, Nikolay. 2015. Race and Racism in Russia. London, UK: Palgrave Macmillan. Znamenski, Andrei A. 1996. “In Search of the Russian Idea: Igor Shafarevich’s Traditional Orthodoxy.” European Studies Journal 31(1): 33-48. 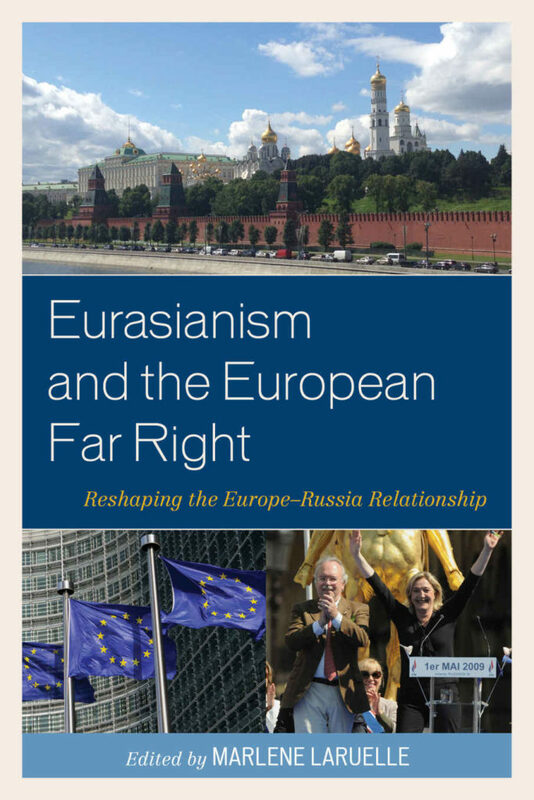 First published as: Andreas Umland, “Post-Soviet Neo-Eurasianism, the Putin System, and the Contemporary European Extreme Right”, Perspectives on Politics, Vol. 15, No. 2 (June 2017), pp. 465-476.